Fiat India a.k.a Fiat Chrysler Automobiles India (FCA) has recently launched a limited edition version of new Fiat Linea, christened as Linea Elegante. These pictures first surfaced in a Fiat Facebook group, where the pictures of Linea Elegante were shared and was reported by MotorOctane. 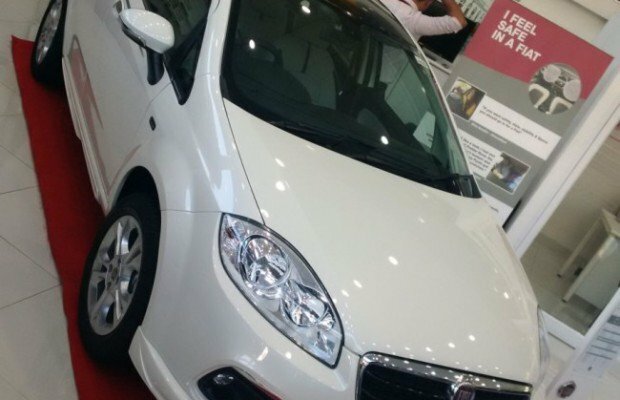 The Fiat Linea Elegante was found to be fitted with stylish accessories kit and is made available in white colour. This Limited edition Linea Elegante has been priced at INR 11 lakhs (on-road, Delhi). 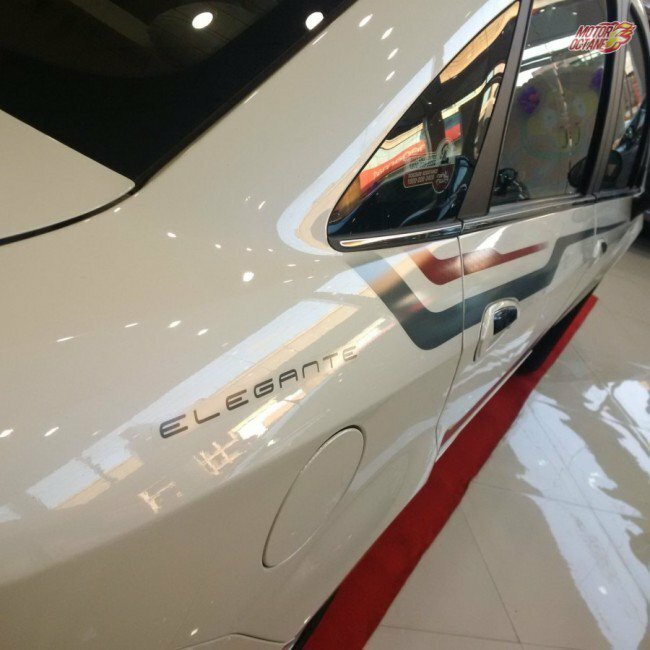 Talking about the exterior features of new Elegante, a new sporty body kit, new design 16 inch alloys (from the Fiat Punto 90 HP), a very sporty rear spoilers with new chrome garnish on ORVM and brand new Elegante decal. 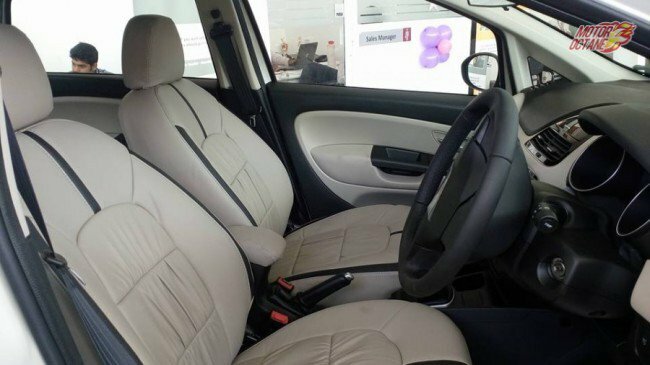 The interior kit of the car comprises of new seat covers, infotainment system that has 6.5-inch touch screen, reverse parking camera, special carpet mats with Elegante branding and special flat door sill as well. Under the hood, the car’s mechanicals remains unchanged, Fiat Linea Elegante comes with diesel engine option (1.3 litre Multijet engine) which could churn out a maximum power of 92bhp at 4,000 rpm and a maximum torque of 209 Nm at 2000 rpm, paired to a 5-speed manual gearbox. Fiat Elegante has a ARAI-certified fuel efficiency of 20.4 kmpl. The car makes for a very fine proposition for discerning customers who want the flair and style also being economical by taking the advantage of diesel car and car’s strong build. Linea from Fiat has the distinction of being a very first mover in its segment. The facelifted Fiat Linea was launched in March 2014. However the car has not attracted much buyers and the sales volume of the car remained low. The Linea Elegante is a good attempt by Fiat to win customers who have are exploring different options. What is your take on New Fiat Linea Elegante? What do you think about the exteriors and other differences in Limited Edition Linea Elegante as seen in the photos shared.